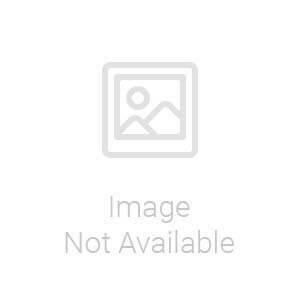 You will earn 2421.00 bonus points. ? Simple, multifunctional and supreme comfort is the hallmark of Randolph collection. 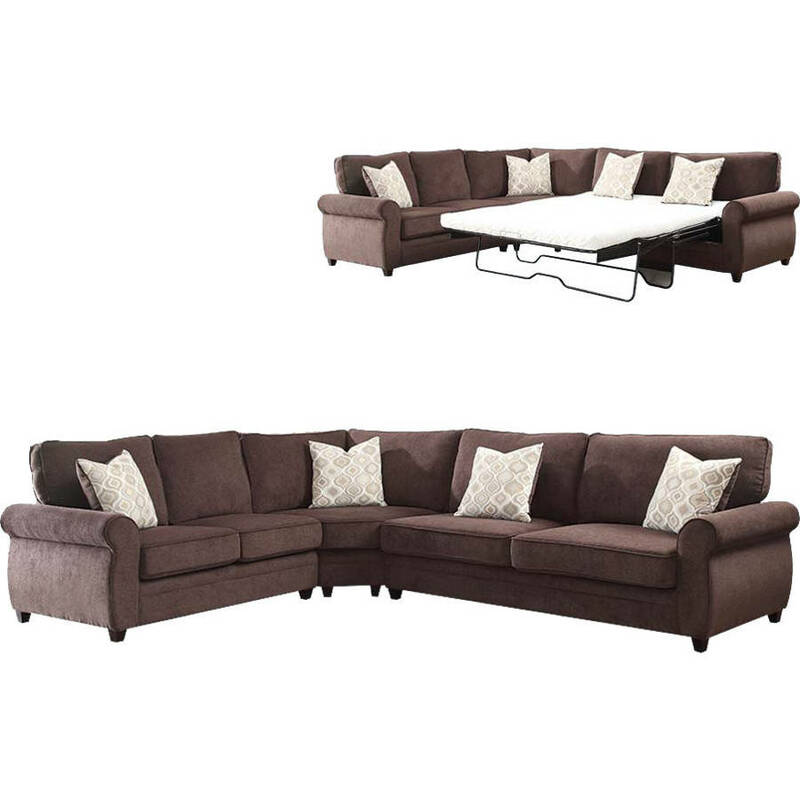 It includes right facing sofa with sleeper, wedge with pillows and left facing loveSeat. 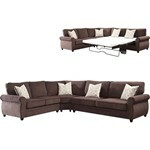 It features in chocolate chenille fabric, loose back and Seat cushion, rolled arms, and dark brown wooden tapered legs. The sofa with queen size sleeper with memory foam can be used as an extra sleeping space for guest when needed. This set is completely modular that will satisfy your comfort needs. Some Assembly Required.